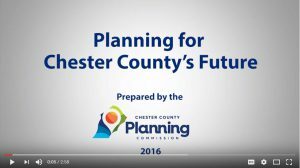 With the adoption of a new comprehensive plan, Landscapes, in July 1996, the County Commissioners chose to work with their municipal, business, and preservation partners to keep the county’s high quality of place. Landscapes2, adopted in 2009, continued Landscapes policies, seeking to balance growth and preservation. Here is a summary of how the county has changed.